I have no idea why, when or where fruit salsa originated. It’s one of those foods I thought was just wrong when I was first introduced to it. Most likely because it was a gloppy mess of stewed peaches and tomatoes that came in a jar, and it was not really sure if it wanted to be sweet or savory, or eaten with chips, or what. However, (kind of like fish tacos), fruit salsa has definitely grown on me. Not the kind that comes in a jar, but the kind that I find myself making over and over again all summer to eat with grilled chicken or fish. I think I had a fresh mango salsa at some restaurant while on a winter vacation somewhere warm, and it just stuck. 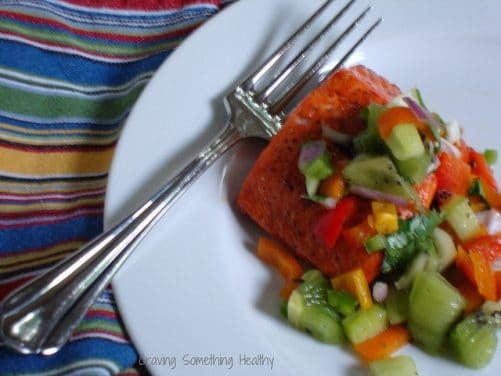 I’m always looking for easy ways to eat more fruits and vegetables, and fruit salsa is a nice way to add a pop of color, and lots of fruit and veggies all in one bite. It’s also extremely easy to make – kind of a “non-recipe” dish that works with almost any ingredients you have on hand and is a nice change from cooked vegetables or regular salad. 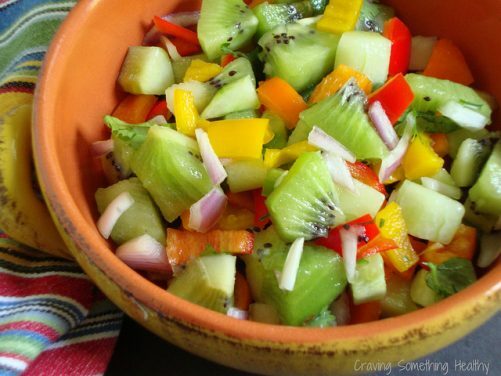 I love this 3 Step Fruit Salsa – choose a fruit, and a vegetable, and add some spice/heat. It’s pretty hard to go wrong, and it’s a nice way to take a quick trip to the Caribbean without having to leave your kitchen :). 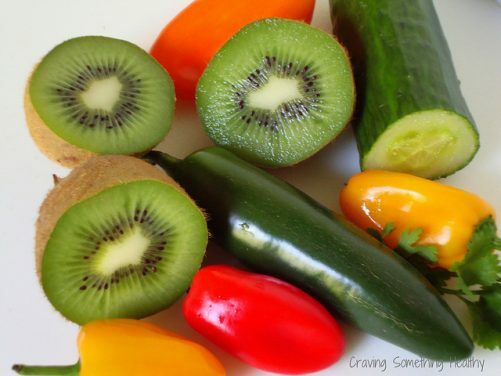 Try these suggestions, or play around with your favorite fruits and veggies. Chop fruit and vegetables the same size (I like them a bit chunky). Chop any herbs, onions, or peppers into a fine dice or mince, and toss with fruit. Season with lime juice or vinegar if desired, and salt and pepper to taste. Let sit for at least 30 minutes for flavors to blend. Do you have any favorite salsa combos?